Yesterday, it was announced that MakerBots will be sold in select Home Depots in New York, California, and Illinois. It’s possible this will prove a watershed for 3D-printing, the moment when the technology ceased to be a hobbyist’s pursuit and became a mass market tool. One thing is certain, however – 3D-printers are being used for more than just making toys or recreating Duchamp’s chess set. Check out 11 amazing new applications for the simple printer. 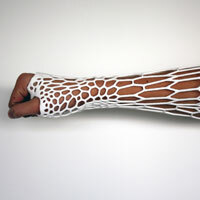 The 3D-printed exoskeletal cast Cortex from New Zealand designer Jake Evill is still a prototype, but for anyone who has sent a pencil down his or her cast in search of an itch, the medical device couldn’t come soon enough. 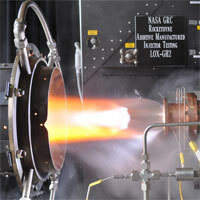 Aerojet Rocketdyne, in partnership with NASA, successfully built and tested an entirely 3D-printed rocket engine just last month. 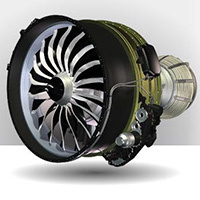 The engine’s design and manufacturing time was reduced to months, rather than years, and cost 65% less than usual. NASA is letting anyone with the right tools print a nebula at home. 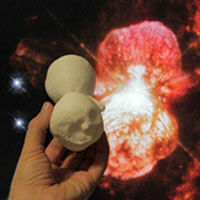 The 3D-printable model of the Eta Carinae binary star system and Homunculus Nebula can help students and researchers better understand these mysterious phenomena. 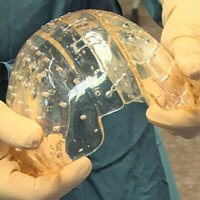 In March, doctors in the Netherlands removed the top section of a woman’s cranium – she suffered from a chronic bone disorder that increased the thickness of her skull – and replaced it with a 3D-printed implant. It’s morbid but true – medical students have used human cadavers to study anatomy for as long as medicine has been taught. 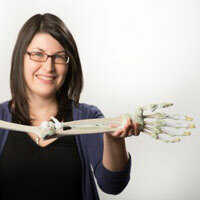 But the 3D-Printed Anatomy Series is a commercially available anatomical kit that could prove a cost-effective and simple replacement in medical training. Just take one look at Michele Anoe’s 3D-printed concept car – the winner of Local Motors’ first 3D-Printed Car Design Challenge – and tell us you don’t want to get behind the wheel. A prototype of the vehicle will be printed in September this year. If 3D-printing could save the US Post Office, then you just know this thing is a miracle. A recent white paper published by the USPS proposes that the technology could result in a significant uptick in shipping. And did we mention it can help you run faster too? 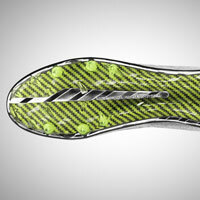 Nike has begun incorporating 3D-printed parts into its Nike Vapor Ultimate football cleat. The tech allows engineers to create shapes impossible in the traditional manufacturing process. 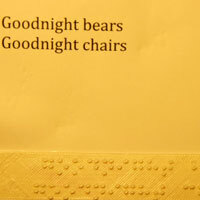 Offering blind children the ability to experience Braille from an early age, University of Colorado researchers have developed technology that will convert traditional children’s picture books into 3D-printed editions, with Braille text computer generated. The fine arts were among the first to embrace the 3D-printing revolution, so it’s no surprise that cultural institutions have taken a shine to it. 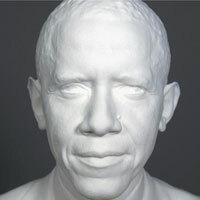 Last month, the Smithsonian created a 3D-printed portrait of President Obama, using digital scanning technology from USC. Now go forth (and embrace the tech).